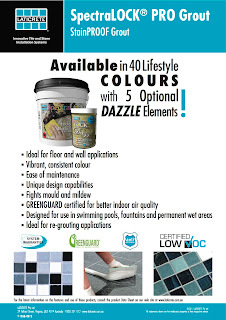 Want great productivity when installing uniform size tiles such as 6 x 6" Quarry Tile ? Use a Rack. More info and watch an installation video - click here. How to "get to ice fishing location!" 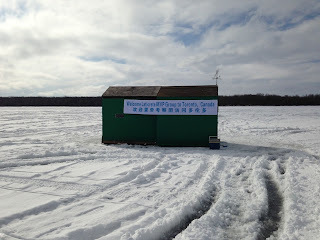 Glenn Prince - the Laticrete Project Director for China, Korea & Japan - took a few important visitors Ice fishing in Canada. "How wonderful. A venue for the Society of American Mosaic Artist’s (SAMA) annual member show, Mosaic Arts International, that is a perfect fit. Tacoma’s Museum of Glass (MOG) has all the right stuff to showcase contemporary mosaic splendidly. The internationally-known museum has the architecture and lighting to make mosaic literally and figuratively shine. More important, MOG has a natural kinship with mosaic through the medium of glass." OK, So What Does This Represent ? 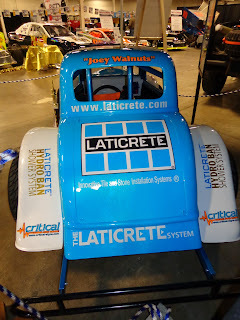 This Tile Contractor uses Laticrete on their projects. 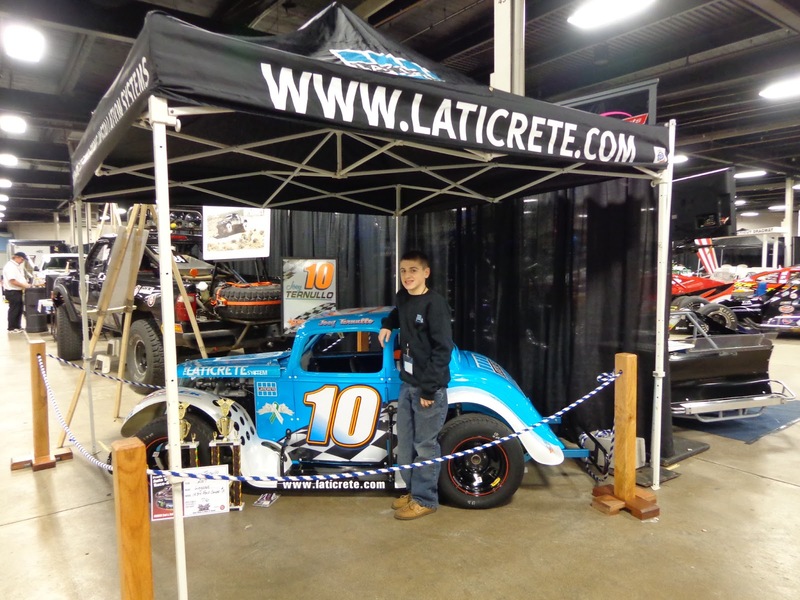 Model Masonry and Tile is an established construction company servicing the Greater Boston Area, delivering high-end masonry and tile services by experienced craftsmen who specialize in commercial, industrial and residential projects. Our mission is to not only complete great projects, but to also build great relationships with our clients. We work hard to accomplish this mission by being both efficient and professional across the full scope of our work, and in doing so we are able to provide the maximum quality and satisfaction to our customers at a competitive rate year round. 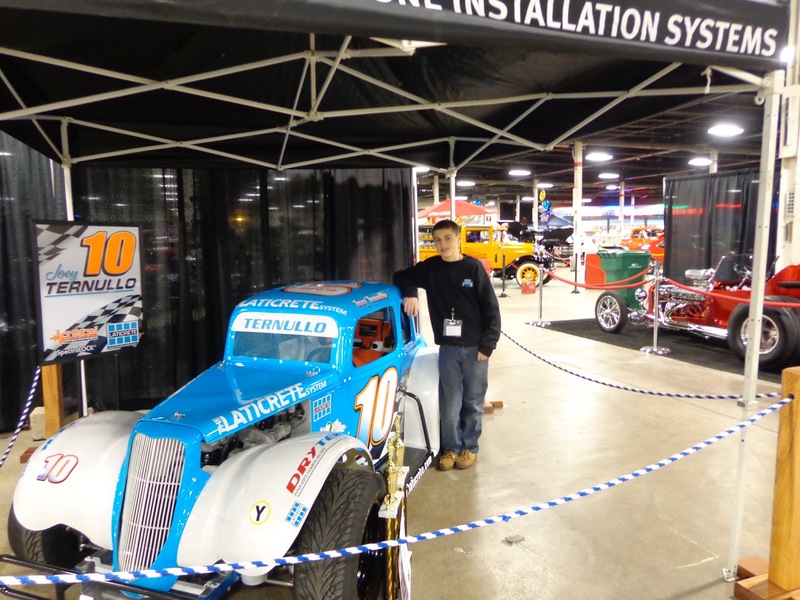 Serving the greater Boston Area since 2005, MM&T is at the forefront of the tile and masonry industry. By constantly investing in innovative technology and high quality workmanship, our name has become synonymous with precision and quality. Since our inception, we’ve undertaken many notable projects from historical brownstones of downtown Boston to the halls of Bentley University in Waltham. We strive continuously to achieve the satisfaction of our clients by meeting their needs and project objectives. Adam Kersnowski is the founder and owner of the MM&T, and has over 14 years of both hands on and management experience in the construction industry. He is a licensed construction supervisor with the Commonwealth of Massachusetts. 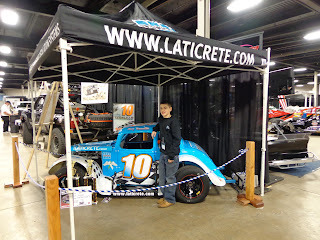 His daily activities consist of job site supervision, estimating and sales. Adam ensures that all of his projects are completed in a timely fashion, within budget and with the quality his clients deserve. 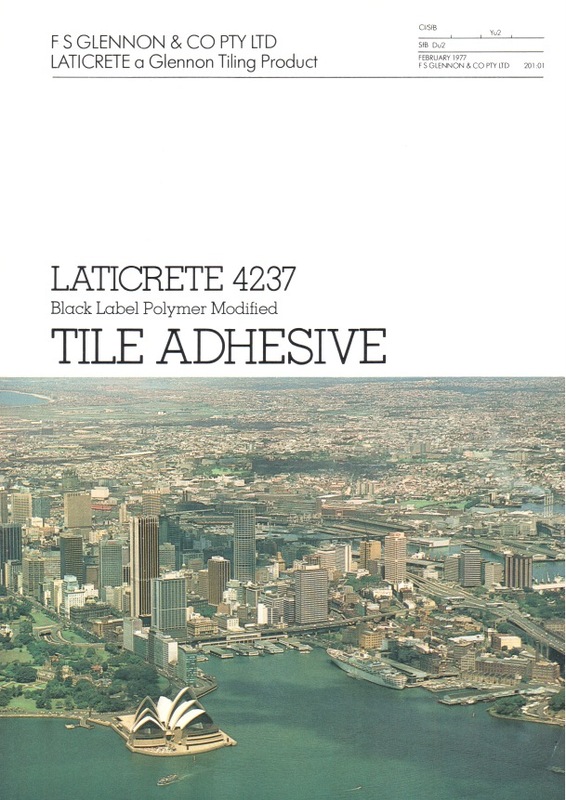 Laticrete can help you sell more dollars per square foot on your tile & stone installations while providing the owner with a better installation. 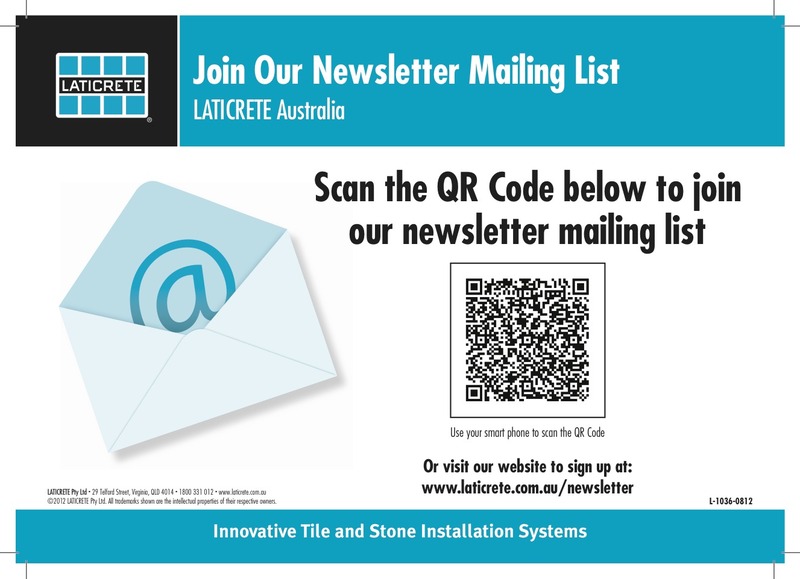 Today, when we are often seeing smaller tile & stone installations, Laticrete can help you "make up the difference" by showing you how to sell more dollars per square foot. 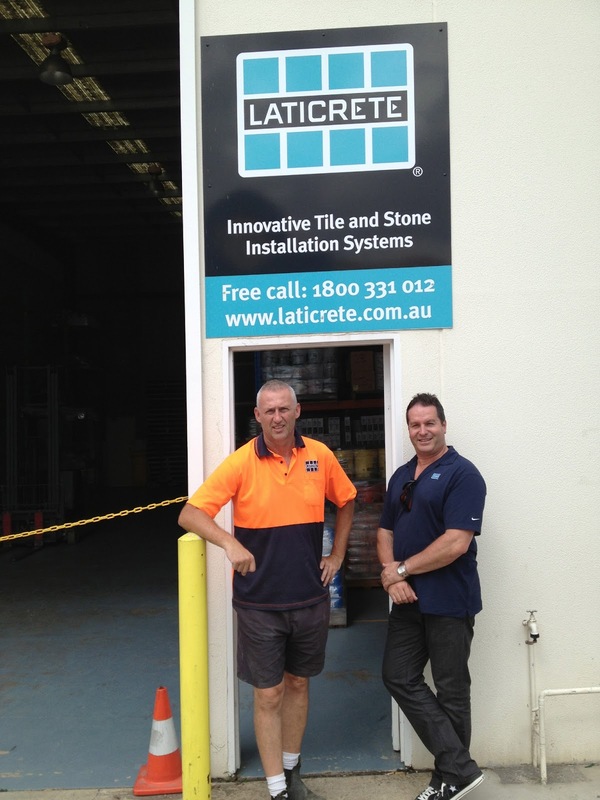 Selling quality and selling productivity to owners & to your customers is key to the Laticrete System. From more efficient materials, to materials that are easier to use, to materials that offer the end user features that are "worth paying for" such as StainProof grout. 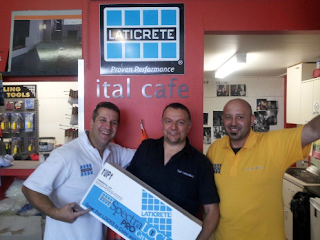 Our Technical Support team and in-the-field Technical Sales Representative are your tile & stone installation materials Consultants. 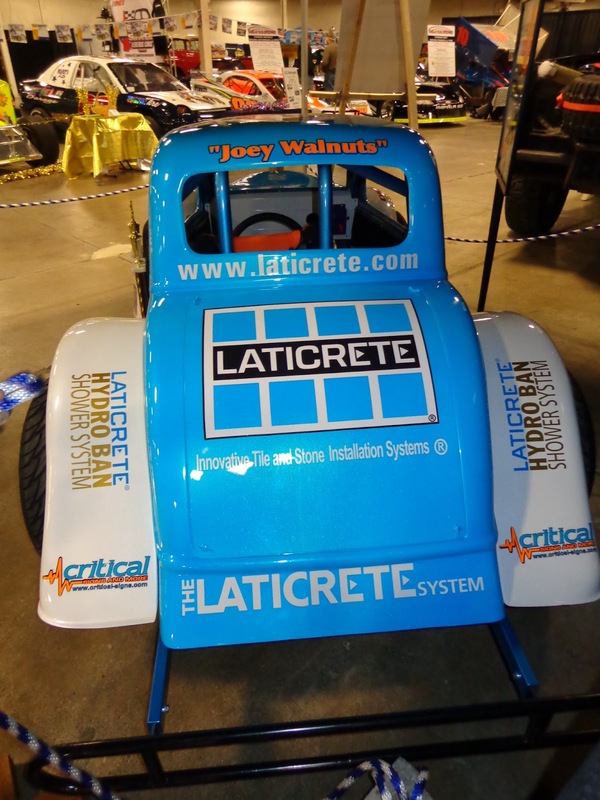 Please contact us Toll Free in the USA at (800) 243-4788 x 235 or World Wide at +1 (203) 393-0010 x 235 if you would like to speak to us about how to increase your productivity & profitability with the Laticrete System. Our Representatives can also discuss with you the specifics of your market, your customers and our available Laticrete System Warranties. StainProof Grout Demo in Orange ! Last change to "Sign Up !" Join us for this StainProof Grout demonstration - we'll be chatting about Making More Money & Preventing Grout Problems ! 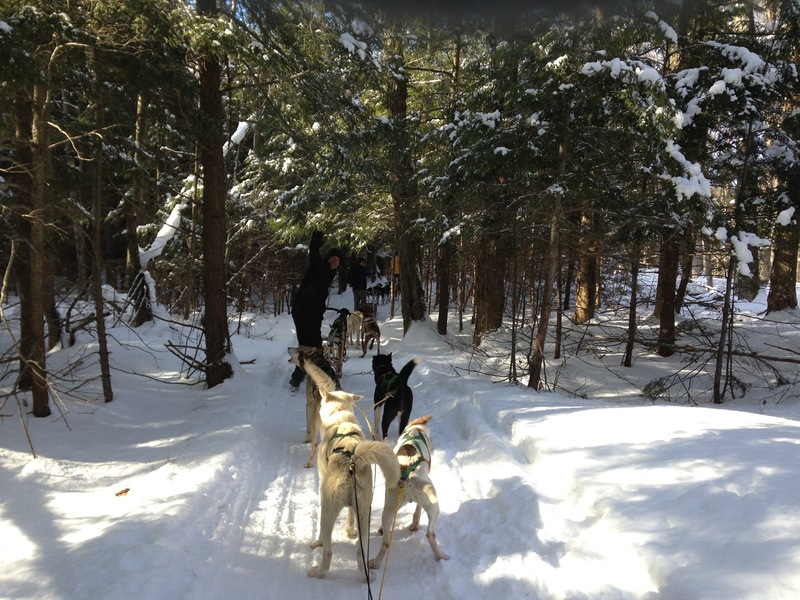 I have returned to my USA office after my 4 week Australia – New Zealand trip. I have a significant number of people to thank for their time and courtesy during my visit and travels. 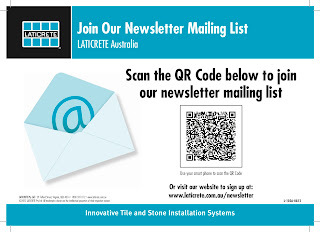 Including the Laticrete team in Australia & New Zealand! 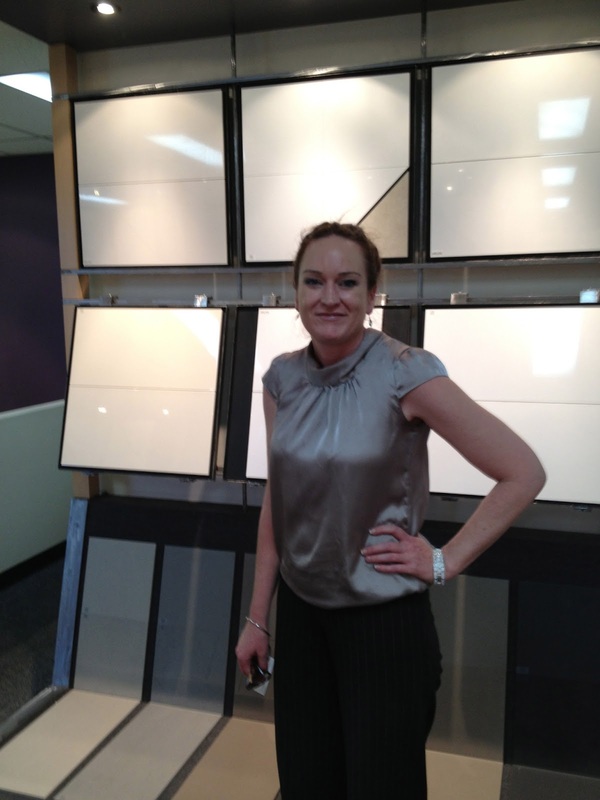 In Australia & new Zealand, as well as around the work, we are Tile & Stone Installation Materials Consultants. We'll answer tile & stone technical installation questions, we'll write "customized" Architectural Specifications for Projects. 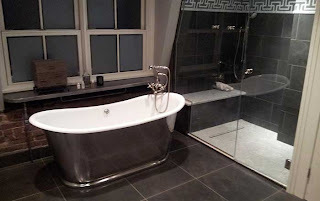 We'll provide Architectural Drawings / Details. 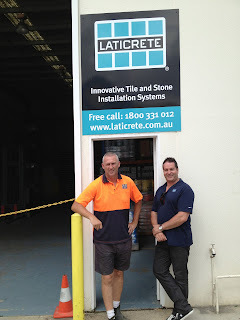 StainProof Grout Demo in Orange, NSW Australia ! 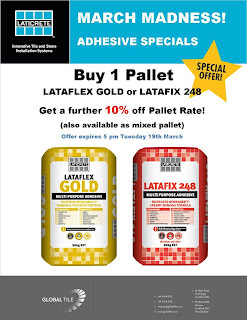 Glenn Mannix, one of the Laticrete Australia NSW Technical Representatives will be demonstrating SpectraLOCK - the "StainProof Grout" - at the Amber Tiles store in Orange on March 21st! 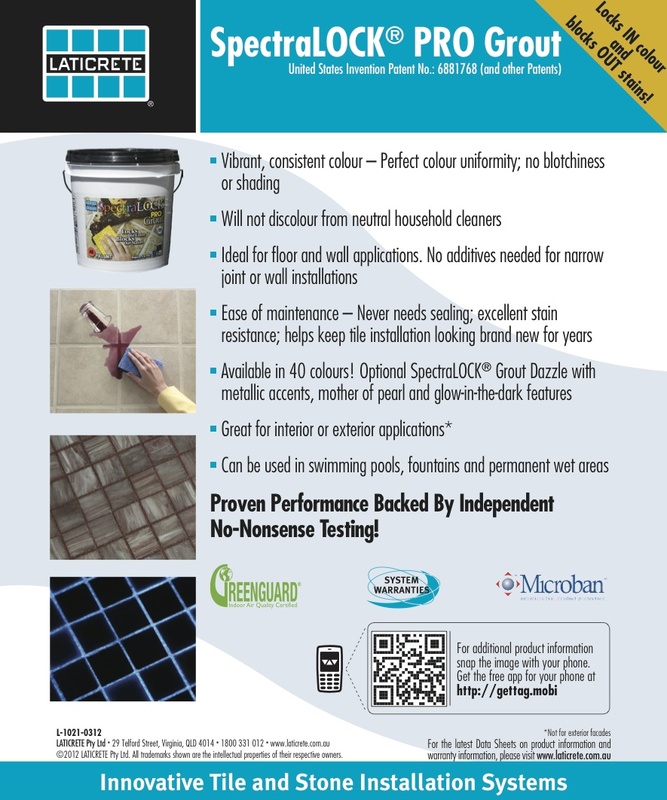 View and take part in a hands-on demonstration of SpectraLOCK Stainproof grout. 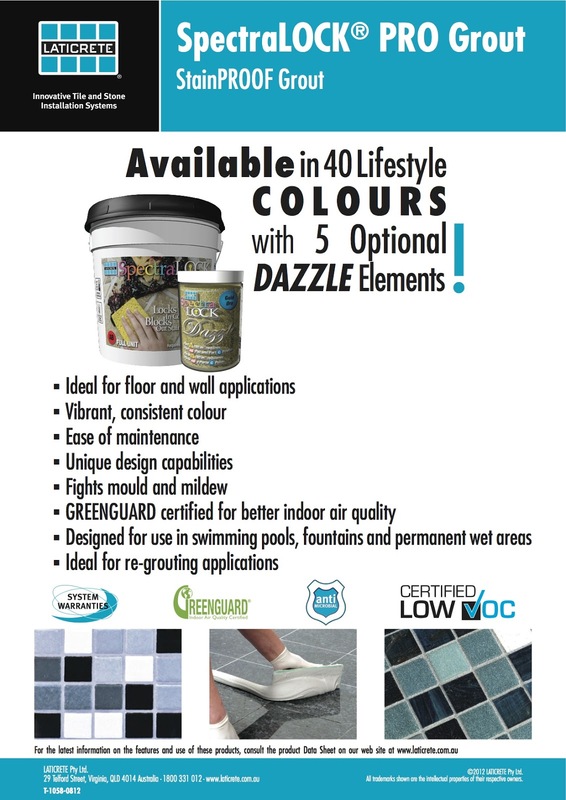 Available in 40 colours with design options of metallic Dazzle accents. Attend and you will receive a FREE SpectraLOCK kit for your next project. Click here for more information on SpectraLOCK Stainproof grout. On my recent Australia - New Zealand trip I had the opportunity to visit with Glennon Tiles in Sydney. 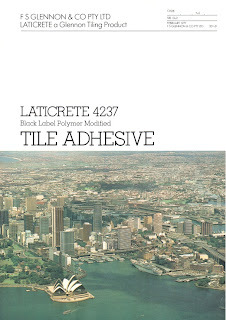 Frank Glennon, the founder, introduced Laticrete to Australia in the late 1960s. 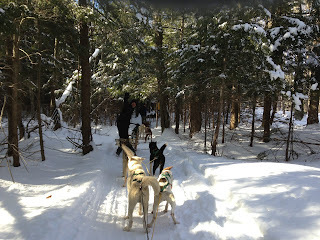 In the photos above are Frank's son - Noel, and his granddaughter - Caeli. They are active in the Glennon Tiles business! 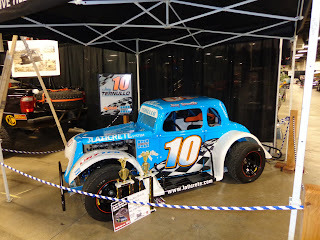 More Joey Racecar Photos !